The Puerto Rico Energy Commission has launched a probe into why its efforts to rebuild the commonwealth’s electrical grid after taking a direct hit from Hurricane Maria in September are proceeding so slowly, with less than even a third of the electrical grid back online to date. According to Buzzfeed News, an eight-page document shows the commission will investigate systemic failings in maintaining the commonwealth’s electrical grid as well as why officials’ response to Maria devolved into what might be the worst electrical outage in U.S. history. Of particular interest will likely be how Whitefish Energy, a sketchy, two-man utility company from U.S. Interior Secretary Ryan Zinke’s hometown and with links to Donald Trump’s administration, secured a massive $300 million contract to help rebuild the grid. Whitefish’s no-bid contract with Puerto Rico’s energy utility PREPA provides cushy provisions for the company and little recompense for local officials if it fails to deliver. PREPA declared bankruptcy in July, part of a larger debt crisis gripping the commonwealth. 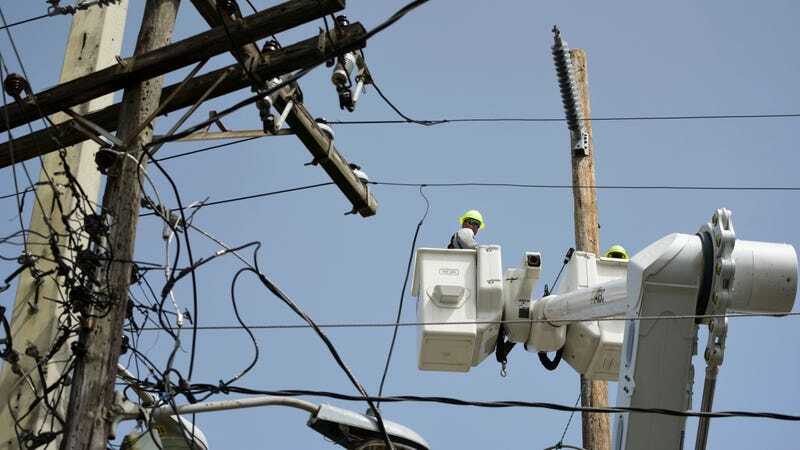 In the process, it delayed numerous repairs to the grid including those later scheduled for the aftermath of Hurricane Irma, which hit weeks before Maria. The investigation “includes the Whitefish contract, but it’s not just a focus on Whitefish,” he added. While Zinke has denied any involvement in the contract, numerous outside observers have questioned why PREPA did not seek help from other utilities under pre-existing aid agreements. Whitefish’s CEO, Andy Techmanski, told a Montana NBC affiliate he had been in touch with Zinke prior to the contract becoming controversial, and the Army Corps of Engineers was unusually absent during negotiations. PREPA is now under the control of an emergency manager, while the Department of Homeland Security’s inspector general is reportedly examining the deal. Ultimately, though, the commission believes the Whitefish contract is only one facet of an investigation into a disaster exacerbated by years of failure to maintain Puerto Rico’s electrical grid. “The delicate condition and operation of the Authority and the absence of a proactive maintenance program—as opposed to reactive maintenance work in response to service calls, which characterized its maintenance program in the last years—reduced the capacity of the electrical system to confront and resist the damage of Hurricane Maria and limited the agility of the Authority to respond and begin to restore electrical power,” the commission document obtained by Buzzfeed reads. Continued electrical outages and the whiff of something fishy about the PREPA-Whitefish contract are far from the only questions about Maria’s fallout. A recent report, also in Buzzfeed, suggested that the official death toll of 51 across the island may be a severe understatement; at least 911 corpses cremated after the hurricane hit were assigned the cause of death “natural causes,” despite no government medical official performing examinations on the bodies.